The POUM: Those who would? On January 3, 2015, historian Doug Enaa Greene led a discussion on the history of the POUM and the lessons to be drawn for today. It was presented to the Center of Marxist Education. His talk was based on the text below. 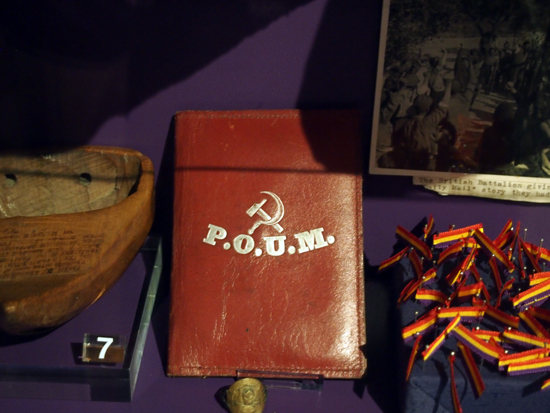 That’s a POUM wallet is displayed with volunteers’ belongings from the Spanish Civil War. It’s from a really nice post on the excellent design blog Dubdog about a visit to the People’s History Museum in Manchester. It later became associated with free-market libertarians when Murray Rothbard and Karl Hess reached out to the New Left in the 1960s. This left-wing market anarchism, which includes mutualism and Samuel Konkin III‘s agorism, appeals to left-wing concerns such as feminism, gender and sexuality,class, immigration, and environmentalism. Most recently, left-libertarianism refers to mostly non-anarchist political positions associated with Hillel Steiner, Philippe Van Parijs, and Peter Vallentyne that combine self-ownership with an egalitarian approach to natural resources. The term libertarian socialism is used by some socialists to differentiate their philosophy from state socialism. For some writers, libertarian socialism is seen as synonymous or overlapping with the terms social anarchism, left anarchism. and even left libertarianism. Political philosophies commonly described as libertarian socialist include most varieties of anarchism (especially anarchist communism, anarchist collectivism, anarcho-syndicalism, and mutualism) as well as autonomism, Communalism, participism, libertarian Marxist philosophies such as council communism and Luxemburgism, and some versions of utopian socialism and individualist anarchism. 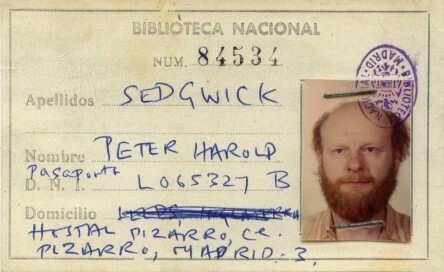 There have also been libertarian socialist currents in the mainstream labour and socialist movements. The Green movement has been influenced by left libertarian traditions, including by anarchism, mutualism, Georgism and [[individualist anarchism. Peter Kropotkin provided a scientific explanation of how “mutual aid” is the real basis for social organization in his Mutual Aid: A Factor in Evolution. New England Transcendentalism (especially Henry David Thoreau and Bronson Alcott) and German Romanticism, the Pre-Raphaelites, and other “back to nature” movements combined with anti-war, anti-industrialism, civil liberties, and decentralization movements are all part of this tradition. In the modern period, Murray Bookchin and the Institute for Social Ecology elaborated these ideas more systematically. Bookchin was one of the main influences behind the formation of the German Green Party – the first green party to win seats in state and national parliaments.Modern Green Parties attempt to apply these ideas to a more pragmatic system of democratic governance as opposed to contemporary individualist or left anarchism. Thus the Green movement, or left-facing sections of it, is often described by political scientists as left libertarian. Often referred to here are European political parties, such as Ecolo and Agalev in Belgium, the German Green Party, or the Green Progressive Accord/GreenLeft in the Netherlands. Political scientists see these parties as coming out of the New Left and emphasising spontaneous self-organisation, participatory democracy, decentralisation and voluntarism, and therefore contrasting to the “traditional left”‘s top-down, bureaucratic or statist approach, hence the term “left libertarian”. Other similar non-socialist radical left political parties, such as the Italian Radicals, are often described in similar terms. These parties situate themselves on the left of the political spectrum, and therefore tend to ally electorally with left parties (e.g. in the Rose in the Fist coalition in Italy), while being pro-market and strongly supporting a civil libertarian agenda, and hence are called left libertarian. What do you think of when you think of left libertarianism? What would you include in an article? I think of a tradition described in David Goodway‘s book Anarchist Seeds beneath the Snow, which includes the likes of William Morris, John Cowper Powys, Alex Comfort, Herbert Read, Colin Ward and Maurice Brinton. From William Morris to Oscar Wilde to George Orwell, left-libertarian thought has long been an important but neglected part of British cultural and political history. In Anarchist Seeds beneath the Snow, David Goodway seeks to recover and revitalize that indigenous anarchist tradition. This book succeeds as simultaneously a cultural history of left-libertarian thought in Britain and a demonstration of the applicability of that history to current politics. Goodway argues that a recovered anarchist tradition could—and should—be a touchstone for contemporary political radicals. Moving seamlessly from Aldous Huxley and Colin Ward to the war in Iraq, this challenging volume will energize leftist movements throughout the world. Crucially, some of these people are anarchists – but not all are. Left libertarianism clearly stretches on the one side towards the anarchism of Colin Ward but also towards the democratic socialism of Orwell or the Marxism of Morris and EP Thompson, who all feature in Goodway’s book. As Bernard Crick puts it regarding Orwell: “He was an English Socialist of the classic kind, in the same mould as Michael Foot and Aneurin Bevan – left-wing, but also libertarian, egalitarian and hostile to the Communist Party.” Similarly, Thompson started off a Communist, but became sharply anti-Stalinist. As this excellent review of Goodway’s book by Martin Heggarty describes, the title of the book comes from a novel by Ignazio Silone, which strongly influenced Colin Ward’s turn to anarchism. 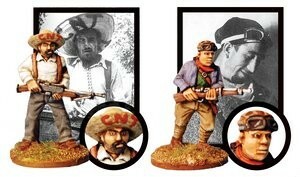 Silone, however, was not an anarchist, but an anti-Stalinist socialist. We could take Goodway’s history into the 1960s and 1970s, with groups such as Big Flame and Solidarity, as described in this reading list, as well as people like Ken Coates. Moving past the 1970s, it becomes a little less clear. That history is, of course, anglocentric, but I am sure a Francophone version of it could be written (including Victor Serge, Daniel Guerin, Cornelius Castoriadis and Claude Lefort) or an American version (including Mother Jones, Paul Goodman, Nancy and Dwight MacDonald, Murray Bookchin and Noam Chomsky). Those lists are quite white and male, and would need to be re-written to make them less so.